Nothing sharpens the look of a landscape like fresh mulch. Besides appearance, having the right amount of mulch is critical to the health of your landscape plantings. It helps keep moisture in the ground by the plants root system while organically decomposing over time giving nutrients back to the soil. Beds should be topped off each season with a thin layer rather than mounding up the beds every few years. Three to four inches is usually desired in most beds. Mulch also helps prevent weeds from germinating and becoming eye soars. Blow out the leaves and light debris, remove garbage, twigs, and weeds in the garden beds. At additional cost, removal of accumulated mulch from past seasons is available. Bag all leaves and trash and place on curb for homeowner’s weekly trash pick-up. Upon request and at additional cost, all bagged trash may be removed from property and disposed. When available, blow and dispose of all organic debris into surrounding natural wooded areas to minimize cost, trash disposal, and trash disposal for environment. We can also put a fresh edge on all the beds based on your preference and always contact DIGGERS HOTLINE for safety. This service defines the concrete borders of your lawn and gives it a clean manicured look. Turf overgrowth (both grass and soil) onto concrete is natural and can take away from the overall appearance of your lawn. 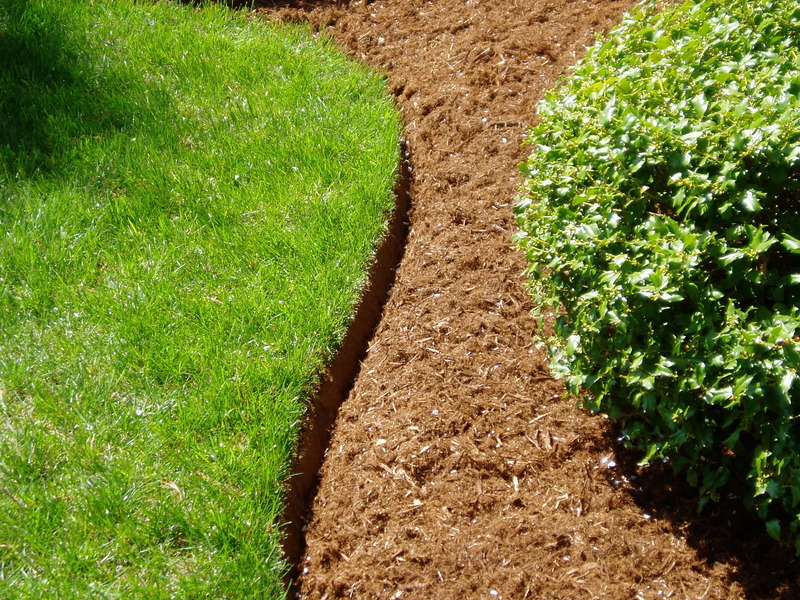 Edging removes this overgrown turf and gives your lawn a crisp, clean appearance. The more often you edge, the less overgrowth there is. Overgrown shrubs and dead perennial or annuals can ruin a beautiful yard. The reasons for pruning can be grouped into four categories: training a plant; maintaining plant health; improving the quality of flowers, fruit, and stems; and restricting growth.